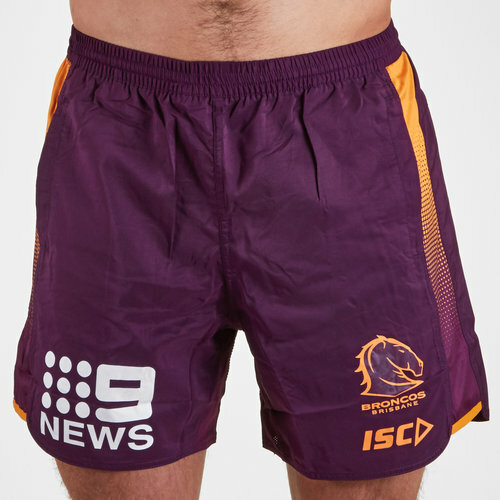 Cheer on the Broncos in the 2019 NRL and look like your heroes with these Brisbane Broncos NRL 2019 Players Rugby Training Shorts from ISC. The Brisbane Broncos play their rugby in Austalia's premier rugby league competition, the National Rugby League NRL. They have won six premierships, including two NSWRL titles, a Super League premiership and three NRL premierships. They also have two World Club Challenges. The Broncos have achieved four minor premierships during their 29 years in multiple competitions, making them Rugby League's most successful club over the past three decades. Until 2015, Brisbane had never been defeated in a grand final, and since 1991, have only failed to qualify for the finals twice. They are the most successful club in the National Rugby League, since it began in 1998, winning three premierships. It is also one of the most successful clubs in the history of rugby league, having won 62.5% of games played since its induction in 1988. They hope to make 2019 their season once more. The Broncos have a partnership with the Australian sports clothing manufacturer, ISC, a collaboration that has been going since 2016 when they replaced long-time suppliers Nike. The club's traditional colours are maroon, white and gold which have all long been linked to the history of rugby league in Queensland. Initially, the founders of the club favoured the official blue and gold colours of Brisbane City Council. However, Sydney advertiser John Singleton advised the board that "Queenslanders had been booing players wearing blue for more than three-quarters of a century. "As a result, the traditional maroon and white colours of Queensland along with gold, symbolizing the Queensland sunshine, were adopted as the club's colours. 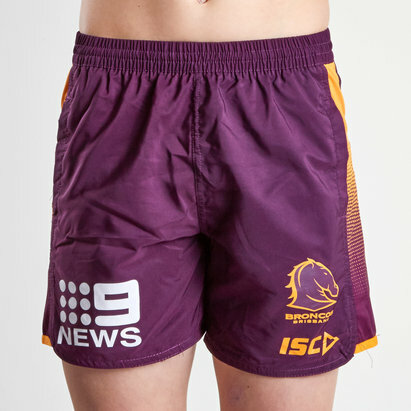 These shorts combine the traditional colours of maroon with gold detailing down the sides. The ISC logo and the team badge are on the left of the shorts.